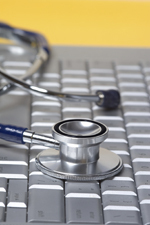 Patient portals increase engagement, support stage 2 meaningful use. Patient portals are an ideal way to boost patient engagement, a metric getting lots of attention in stage 2 of the federal government’s incentive plan for meaningful use of EHRs. Stage 2, which will begin as early as 2014, increases health information exchange between providers and promotes patient engagement by giving patients secure online access to their health information. Under the final rule issued last month, organizations vying for meaningful use incentives will not only have to demonstrate the availability of patient portals, but also the percentage of patients accessing health information via these channels. Make sure patients are aware of the portal. Staff should inform patients about the portal, and brochures and sign-in credentials should be readily available, recommends Dr. Kilbridge. Highlight functions patients care about, such as the ability to send secure messages or questions and schedule referrals. If patients aren’t scheduled to come in to the office for an appointment, send them an e-mail or snail mail announcement about the portal. When building a portal, it’s important that patients get there on the first try. Keep the instructions and path to the portal simple. Define the physician’s role in this process  the most important role, Dr. Kilbridge emphasizes. “Physicians have a greater ability than anyone else to influence. You must educate the physicians in proper portal use.” Even among physicians, the digital divide is great, he adds. “Show the physicians how the portal will help them  by reducing phone calls, by motivating patients to follow up on test results.” All of these benefits can improve overall clinical indicators for a practice. Add health and wellness information, such as links to community activities such as walks or runs, that providers can point to during visits. For patients with chronic illness, offer logs for them to enter regular data, such as weight o A1C levels, and activate red flags when they reach warning levels. Pay attention to health literacy levels, making sure the information and tools available from the portal are easy to understand. Coordinate the portal with other means of patient access, such as a call center or nurse advice line. These groups can also refer patients to the portal for more information. Coordinate the portal with other communication modalities. “Some portals can be built to interact with texting,” notes Dr. Kilbridge, who estimates that about 85 percent of individuals are comfortable using texting. But judging from the numbers of grandparents proudly sharing their grandchildren’s photos on social networks like Facebook, expecting them to tackle a patient portal may not be such a stretch. » Social Determinants of Health: Does Technology Connect or Isolate? This entry was posted on Wednesday, September 5th, 2012 at 3:41 pm	and is filed under Disease Management, e-Health, Meaningful Use, Patient Satisfaction, Patient-Centered Medical Home, Physician Practices, Telehealth & Telemedicine. You can follow any responses to this entry through the RSS 2.0 feed. Both comments and pings are currently closed.